The new Aqua Blue S-type uses the same 3-in-1 Aqua plate technology as the original C-type configuration. Q.E.D. 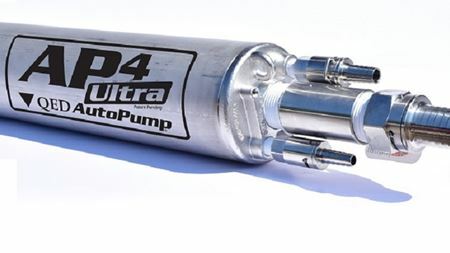 Environmental Systems, Inc revolutionized landfill pumping with the release of the AutoPump AP4 High Temperature Ultra pump. Vacuum supplier Leybold has reduced the energy consumption of the DIP and newly developed DIJ diffusion pump series. Service Pump Ltd has added a substantial number of Atlas Copco PAS super silent diesel pump sets to their hire fleet. Pentair's pool pumps have enabled savings of 12.7 billion kilowatt hours (kWh) of electricity since 2005. Pentair delivers integrated solutions from advanced filtration, desalination and water supply to water disposal, process and control. The first-in-series Godwin NC150S will be on display at Xylem’s booth at WEFTEC (♯1248, South Hall A) from October 2-4.